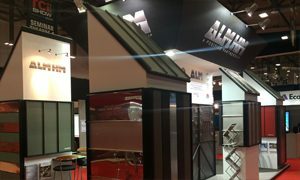 ALM HM stocks and supplies Kladfix rainscreen cladding support systems. 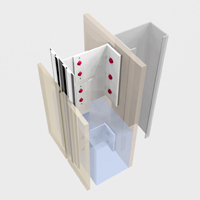 Kladfix has introduced a range of high quality rainscreen cladding support systems that provide specifiers, contractors and cladding installers with an affordable solution that rivals most other products on the market. 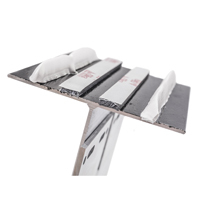 Developed from the highest specification alloys, they are suitable for supporting the most straightforward to the most demanding cladding materials. 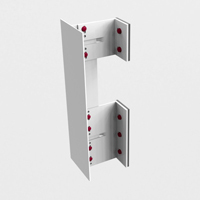 Kladfix brackets come in standard dimensions of 60-210mm and in two sizes, single and double. 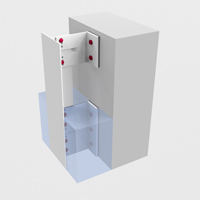 They are pre-drilled to suit the substrate – Steel frame, Block, Concrete, Timber etc. 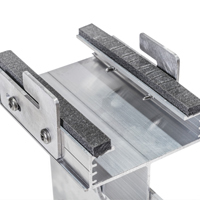 We hold extensive stocks of the standard façade cladding support systems including brackets, components, extrusions and accessories in all configurations making these items available for immediate delivery. Project specific, cut profile lengths and bespoke systems solutions are also available. This provides architects and specifiers freedom with an almost infinite range of façade appearance and layout options. You can use the Kladfix Project Checklist to specify a project specific exterior cladding solution. As the requirements for each façade and cladding system are always different, our project checklist can help identify the best systems for your specific job. ALM HM supported by Kladfix can provide full technical support and guidance for the design and installation of Cladding support systems and components. We can also provide detailed CAD files on request. The relationship between the façade material and the cladding support system in the context of expansion must be considered. 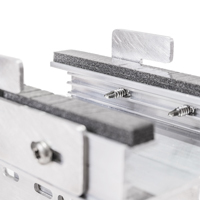 The rails are clipped into the brackets and, after adjustment for line and level, are fixed to them using self-drilling stainless steel screws. 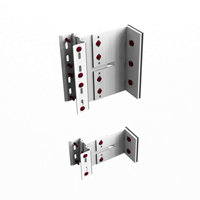 KX01 is the basis for all Kladfix systems. 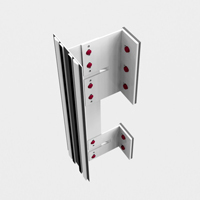 It is a back frame system suitable for face fixing cladding materials such as; ACM, Aluminium, copper and zinc along with a wide range of other façade materials for vertical applications. 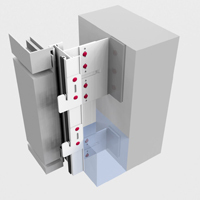 KX02 is a secret fix system for vertical cladding applications, using structural bonding (Sika). 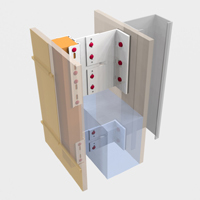 This system is suitable for a number of cladding materials including ACM, Aluminium, copper and stainless steel. KX06 is a system that provides timber batten support allowing the application of vertical or horizontal facades. 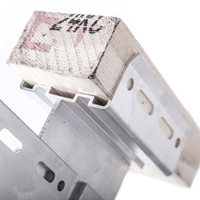 The timber battens are supported using carrier brackets. The supported timber battens allow for a plywood substrate to be fixed to the exterior, making this system suitable for a metal standing seam façade or timber cladding. KX07 is suitable for cassette panels such as ACM or ZCM in vertical applications. 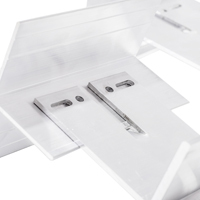 It is secured using cassette hangers to provide a concealed fixing.